KUALA LUMPUR (Sept 10): Shares of printing services company BHS Industries Bhd advanced 2.81% to RM2.93 and was among today’s top gainers in the morning session after the Federal Land Development Authority (Felda) emerged as a substantial shareholder with the purchase of an 11.1% stake. 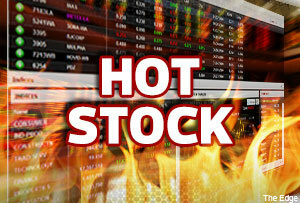 However, only 524,800 shares traded hands on Bursa Malaysia. Its market capitalisation stood at RM211.25 million. Yesterday, BHS Industries announced that Felda had last Friday acquired 8 million shares or 11.1% stake in the printing company. Felda’s cost was not disclosed, but BHS Industries was traded at RM2.86 on Sept 5. Worth noting is that Pelaburan Mara Bhd (PMB), also a state-linked investment fund, had in July acquired 6 million shares in BHS Industries via an off-market transaction. Bloomberg data showed that PMB now owns 18% stake in BHS Industries, making it the single largest shareholder with 13 million shares. Interestingly, BHS Industries former chairman and executive director Heng Song Khoon has been paring down his stake from 56.36% in October 2013 to merely 0.1% as of July 23, 2014. Heng started to dispose a block of 15 million shares or 20.81% stake in Oct 29 last year. From there, the share price of BHS Industries shot up from RM1.05 to RM2.76 on July 22, when Heng had ceased to be a substantial shareholder after selling 6 million shares at RM2.70 apiece. Subsequently on Aug 8, BHS Industries had appointed PMB chairman Datuk Sohaimi Shahadan as its non-independent and non-executive chairman, replacing Heng. BHS Industries prints magazines, textbooks, general publications, directories and company annual reports. A local remisier highlighted that the full results of BHS Industries had improved in its financial year ended June 30, 2014 (FY14) and it could be a guidance for its share price performance. However, a market analyst is less positive on the company’s long-term growth prospect of BHS Industries, as the world moves to a paperless world. “Nowadays, we see declining numbers of public-listed companies printing their annual reports,” he said.